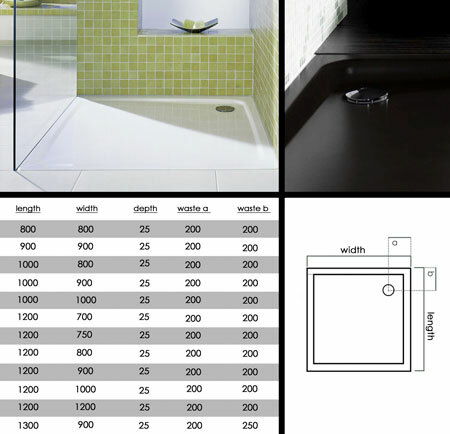 With a level access entrance these low profile shower tray have an overall edge thickness of only 32mm and are designed to be fitted flush to the surrounding floor. Each tray is made of 2.5mm steel with a very hard stove enamelled finish which is baked on at 850°C and is so hardwearing that it is acid resistant, impact resistant and scratch proof. These tough slimline shower trays are so strong and long lasting they are supplied with a 30 year manufacturer guarantee. * Acid, scratch & impact resistant. * 12 x shower tray sizes. * Internal depth of 25mm. * Anti slip to special order.